It was great to get out on tour again on the North Norfolk coast today. We spent the day in the Cley area, looking for late migrants and spending some time watching the winter wildfowl and waders. 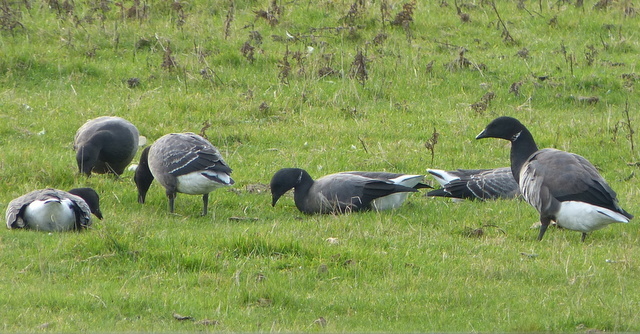 The Brent Geese are still arriving for the winter – we saw lots of small groups coming in off the sea. However, there was already a nice flock in the Eye Field and it was good to see plenty of young birds. Our first stop was North Scrape, where we quickly located the three Grey Phalaropes. One of them showed well, swirling round in circles on the water, picking at the surface and swimming around amongst the massed throngs of wildfowl. While we were sitting there, lots of migrants were arriving from the continent for the winter. Flocks of thrushes were flying in off the sea and overhead – Redwings, Song Thrushes, Blackbirds and a single Mistle Thrush. Small numbers of Starlings were also seen coming in, and small flocks were moving west along the coast all day, along with a steady stream of Chaffinches. A Brambling dropped in with the Goldfinches and Linnets feeding by the beach, along with lots of Skylarks and Meadow Pipits and a pair of Stonechats, the first of several we came across today. On our way back to the car park, we stopped to watch a flock of Golden Plover. Initially asleep, they were spooked by a couple of crows and swirled round in front of us before dropping back into the grass. While we were standing there, a single Woodcock flew in over the beach and right past us, disappearing over the reserve. 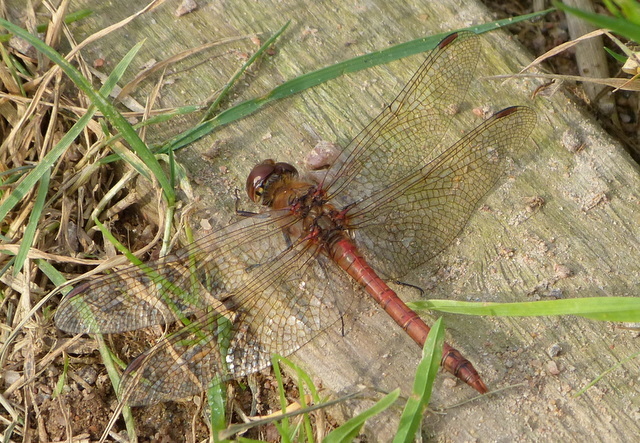 We spent the rest of the morning exploring the reserve. Lots of wildfowl are now gathering on the scrapes – especially Wigeon, Teal, Shoveler and Gadwall. There were still several other waders around, including a few Avocets, Ruff and lots of Black-tailed Godwits. The Marsh Harriers eventually put on a good show, with the highlight being four birds circling together over Pope’s Marsh. In the afternoon, we explored the coast to the east. At Walsey Hills, we couldn’t find the reported Yellow-browed Warbler but did see a male Blackcap gorging himself on late autumn berries. 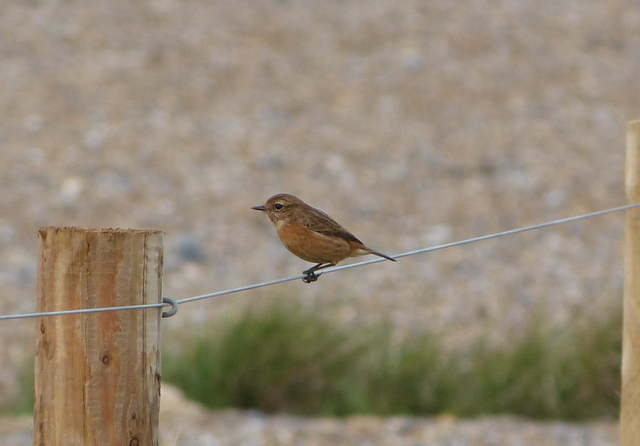 Wherever we went, there were freshly arrived Blackbirds and Song Thrushes in the hedgerows. A Bullfinch called ahead of us but wouldn’t come out. However, two treats were still awaiting us. Down by the beach, a flock of finches flew away from us. 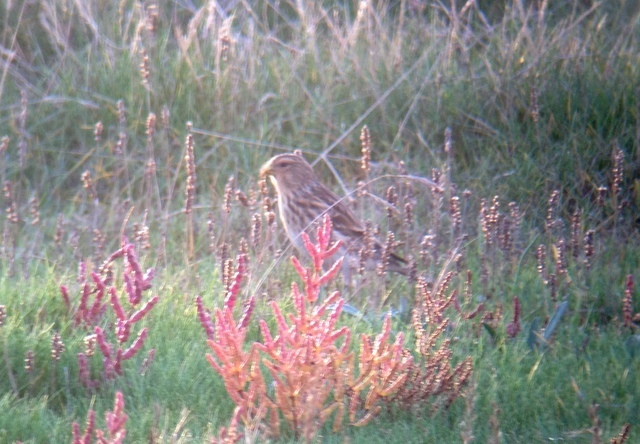 Expecting them to be the usual Linnets, a characteristic buzzing ‘tveeet’ alerted us to the presence of Twite. When we finally tracked them down, there were at least 27 Twite, with a much smaller number of Linnets alongside, a real treat as they have become very scarce in recent winters. 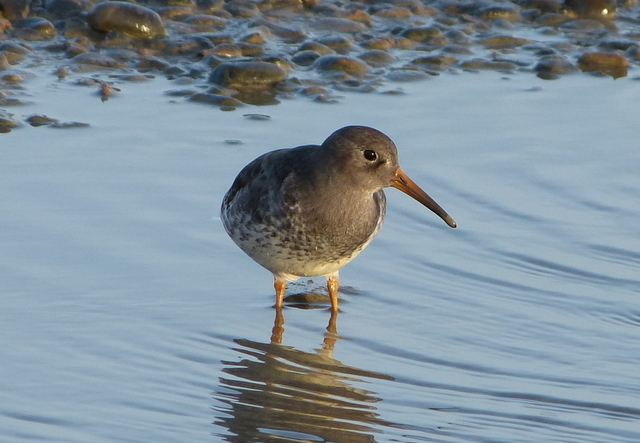 On the pools behind the beach we were alerted to the presence of Purple Sandpiper – thankfully, as it appeared to be particularly tame and we could easily have walked straight past it! A lovely way to end the day, in the evening glow. Purple Sandpiper – a very tame bird!